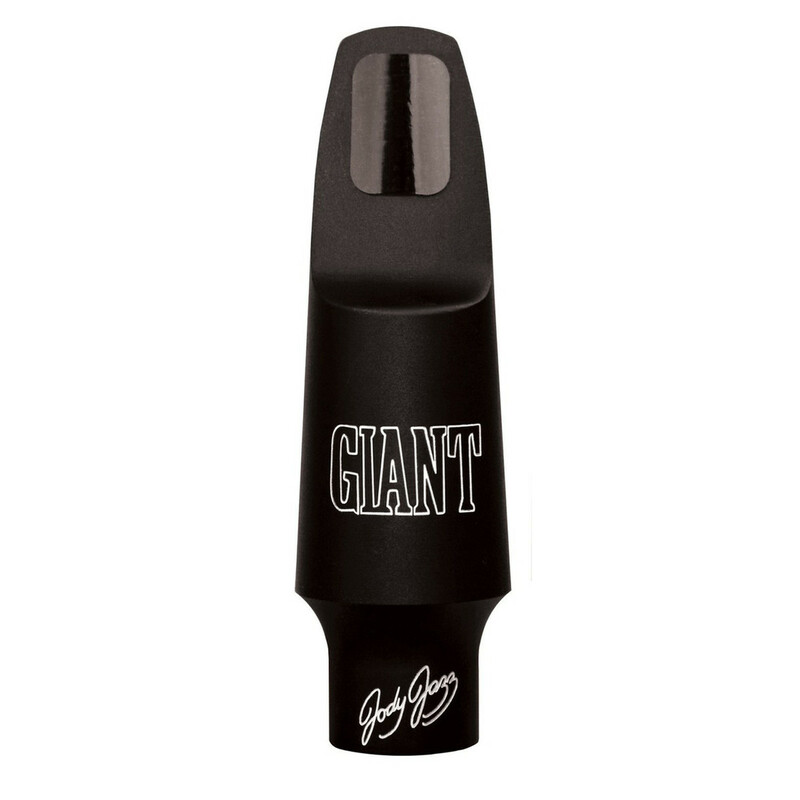 The JodyJazz Giant 6* Tenor Saxophone Mouthpiece features a tip opening of 0.095. With a state of the art design and crafted using a five-axis CNC machine to capture exact tolerance, the Giant offers players a dark thundering sound with excellent projection. The Giant from JodyJazz is uniquely crafted using state of the art design techniques and a five-axis CNC machine to achieve precise tolerance and then hand finished to deliver a versatile sound that can be shaped by the player to create a plethora of interesting and complex aspects. The Giant produces a dark thundering sound that has a strong projection that cuts through frequencies meaning it blends well with concert bands and saxophone quartets. It's ideal for a wide selection of genres from Jazz, Straight Ahead, Bebop and Big Band to Rock, Funk, and Blues. The Giant features a new concept created by JodyJazz which they dubbed "Stealth Metal". Stealth metal involves taking the outside shape of the mouthpiece with its rubber style and combining it with the precision of an aerospace grade hard anodized aluminium, in order to produce a mouthpiece with a large chamber which is then finished off by hand to create a extraordinarily full sound. The JodyJazz Giant has a large chamber that produces an immersive sound that brings plenty of warmth. The way JodyJazz achieve this is through the use of carefully selected materials and a baffle inside the mouthpiece. They also feature a newly designed facing curve which allows the reed to vibrate at its maximum. JodyJazz was founded by Jody Espina and has gone on to be one of the leading designers and producers of mouthpieces for saxophones and clarinets. Using state of the art design and production techniques, with the use of 3D modelling and crafted using CNC multi axis machines, mouthpieces are then finished off by hand and play tested by Jody Espina himself, or the company's other professional players, to ensure that each mouthpiece has a perfect seal with the reed and a proper response throughout the range of saxophones. ''JodyJazz offers me a 'free blowing' mouthpiece without resistance. They are easy to play and capture the full range of tonal qualities of the instrument. The lower range of the saxophone gets a fat, round and strong sound, while the higher registers have a warm and refined sound. 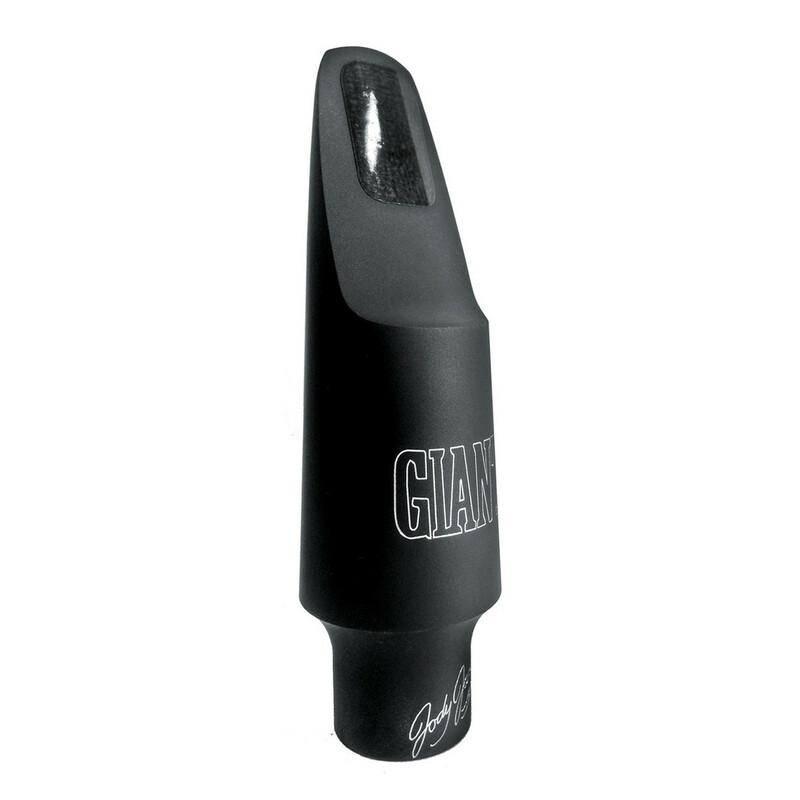 The mouthpiece has a clean sound, with excellent focus and projection and the construction and finishing is of the highest quality. - Rubens Mariano.